We know walking into your local comic shop or browsing the new titles on Comixology can be harrowing, particularly with the rising prices of comics. 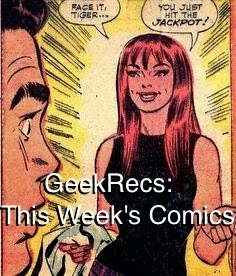 The GeekRex team feels your pain, so that's why each week two members of our team will collaborate and highlight the "must-buys" of every Wednesday, and we'll make sure we keep the tab under 20 bucks. Props to MultiversityComics for coming up with the great idea–we hope you like our spin on it! It's the final issue of a series that we gave both the Best Series and Best New Series Rexie Awards for 2014. Need I say more? 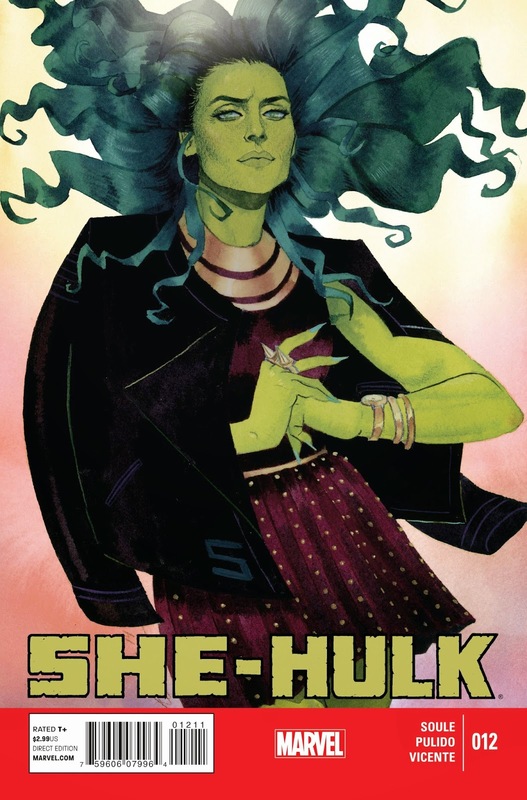 Okay: Soule has created arguably the best female superhero book in the story of Jennifer Walters law practice, surrounded by a great supporting cast. He's also brought in some of the best artists in the biz, from Pulido to Wada to Wimberly. This final issue is especially exciting because it promises to wrap up the Blue File, a story that has been touched on throughout this year long tale. This series will sorely be missed! This might be a super-team book of sorts, but the real team up is on the creatives behind it: Kindt, Lemire, and Rivera have crafted what has so far been gorgeous and thrilling. It's also a great place to jump into the Valiant universe, which is getting more exciting with each new release and creative team. 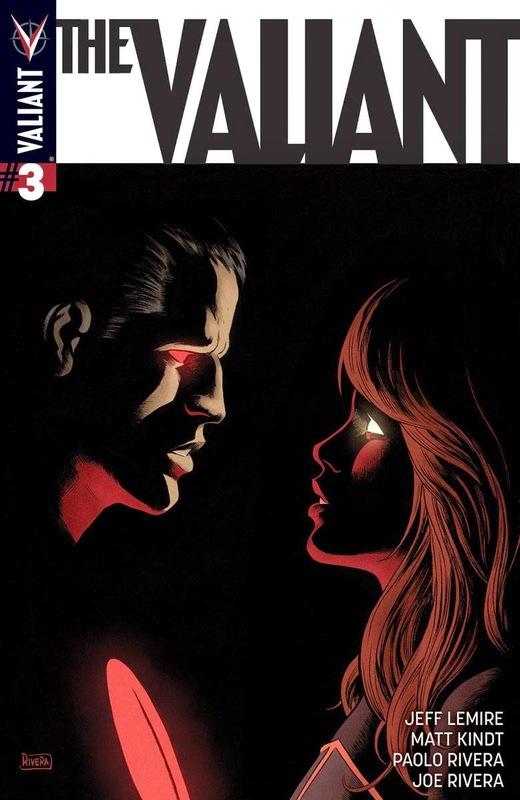 While this four issue mini-series lasts, it's definitely the flagship of the Valiant line, so get it while you can! It's clear that we're pretty big into Multiversity here at GeekRex, and this issue is certainly one we've been looking forward to. While Jim Lee is not a frequent collaborator (and not the best we've seen on this series), the story is an interesting one. 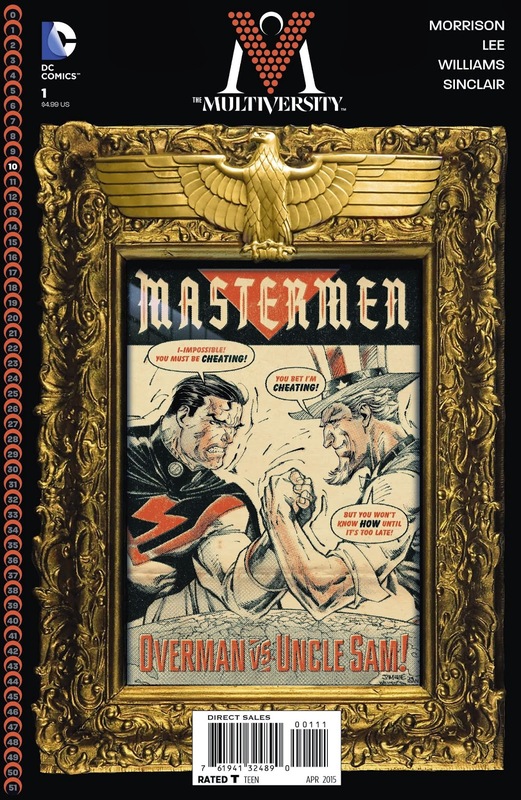 This issue focuses on Earth X, where Superman, here called Overman, fights for the nazis while the Freedom Fighters, complete with Uncle Sam, fight for democracy. Should be a fun one! 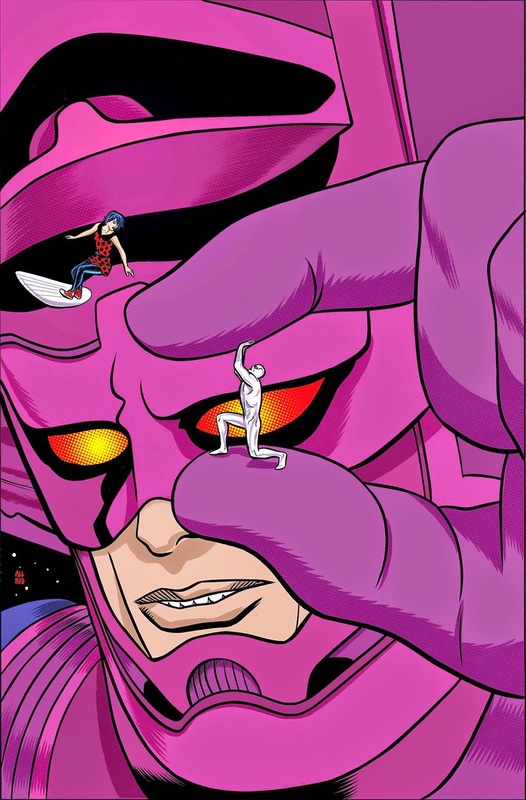 Much like a lot of the comics we are recommending for you this week, Silver Surfer is one we have been telling you you should be reading since the beginning. Dan Slott has been in rare form with this title, turning the former Herald into a Doctor Who-esque character that goes on wacky adventures. This week's issue sees him come into conflict with former boss Galactus, meaning a lot of threads from the start of this series are finally going to come to a head. Slott's writing is surprisingly good, but Mike Allred's art is the real star of the show here. Yep...you guessed it. Another series that we have been telling you for a long time that you should be reading. Lazarus' latest arc has been doing quite a bit of conflict, character, and world building...and it all comes to a head in this explosive conclusion. 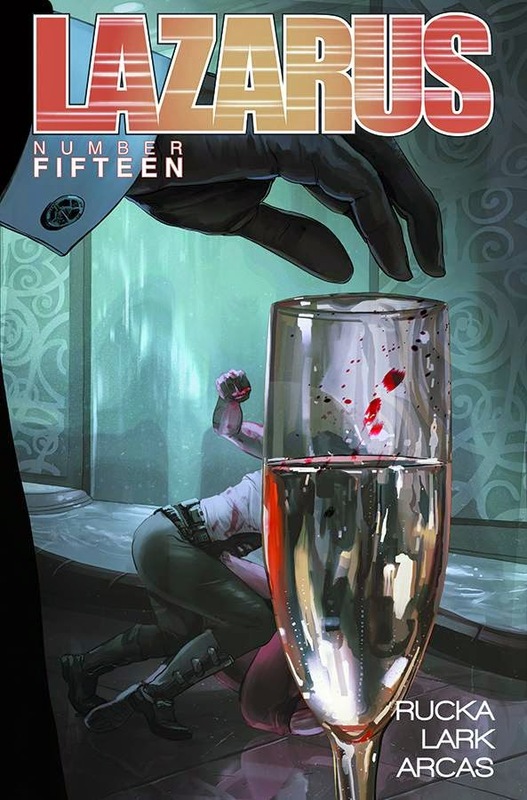 Forever finds herself in trial by combat against another Lazari, but it seems highly likely Greg Rucka has a few surprises up his sleeve before this story is done. Maybe not the best jumping on point, but check this one out to see what you've been missing. Are you a fan of the last few years of Thor (God of Thunder), the first few issues of Star Wars, or the runaway Image hit Southern Bastards? Of course you are! 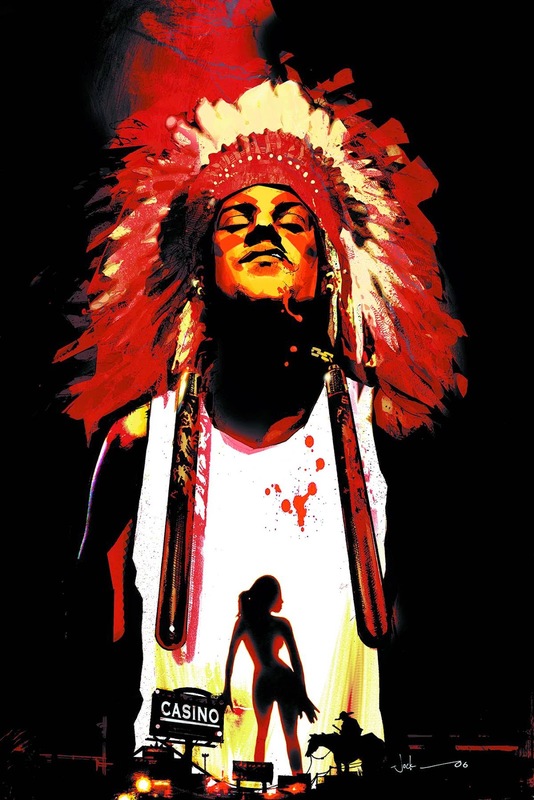 Now you can check out one of Aaron's earliest seminal works in Scalped. With the same care that he looks at southern culture in Southern Bastards, he examines life on the Prairie Rose Indian Reservation through the eyes of Dashiell Bad Horse who is coming home for the first time in years, and with a dark secret. It's a fantastic series, one of the last great Vertigo runs in the vein of Y: The Last Man and Ex Machina, and here you get a chance to get the first 11 issues in a nicely presented hardcover collection. Definitely worth a read if you somehow don't get enough Jason Aaron elsewhere!